First published on Eureka Street.com.au in 2010. Oprah is here. With a US TV audience of seven million expected to tune in to discover our beauty rich and rare, what will Australia showcase? Should we highlight this country’s external magnificence? Or could now be the time to really show off by exposing the US to our healthcare system? Thanks to the strength of the Aussie dollar, many tourist operators are doing it tough; all they want for Christmas is for Oprah’s visit to usher in a flood of big-spending Midwesterners. 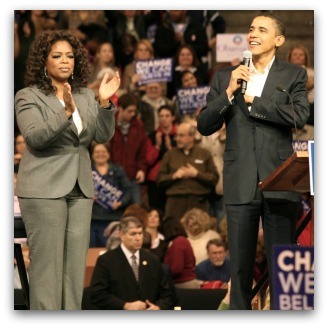 But possibly the greatest Christmas present we could give America would be a broken leg or burst appendix for Oprah. If she — friend of President Obama and host of the highest-rated talk show in US history — were to find herself a customer on the doorstep of Australia’s excellent and equitable healthcare system, America’s best-known mouth might go home peddling a message that could change the foundations of her society. As an American, though now permanently resident in Australia, I can’t imagine a better gift for my compatriots. Nowadays, the term ‘universal healthcare’ is a phrase I speak in revered tones, reluctant to take it for granted. That’s because I have lived with the other kind of healthcare, the kind that primarily works for those who are healthy — and lucky. These, he said, are generally people with health insurance. But the current loopholes in policies make a mockery of the term ‘coverage’. Unfortunately, years of indoctrination and anti-communist rhetoric in the US mean many Americans now think ‘Fidel Castro’ whenever shared costs (like universal healthcare) are mentioned. In fact, Cuba’s lean health scheme could teach Americans a few things: according to the World Bank, both life expectancy and infant mortality in Cuba are better than in the US at a fraction of the cost. Thankfully, there has been some movement in America with the passage of Obama’s healthcare reform bills in March of this year. These two bills aim to eliminate some of the most egregious policies of the private health industry. The growing private health industry in Australia is often touted as the answer to our over-stretched public system. Is it really the answer we want? Recently our child’s school wrote to the parents exhorting us to buy private insurance in case of accidents on campus. They appeal to our risk-averse nature: cover yourself! But as we rely more on the private system to meet our increasing healthcare needs should we worry that private coverage for a daughter’s broken ankle today may evolve into Sorry, but we don’t cover pre-existing conditions for a diabetic grandchild in 20 years? While America has plenty of worthwhile exports, its dysfunctional health system isn’t one of them. Australia, on the other hand, has more than just Uluru and the Opera House to commend it. Even without Oprah breaking a leg, let’s hope one message that travels back with her across the Pacific is of the strength and fairness of Australia’s public health system. That’s one export that Americans are dying to get.